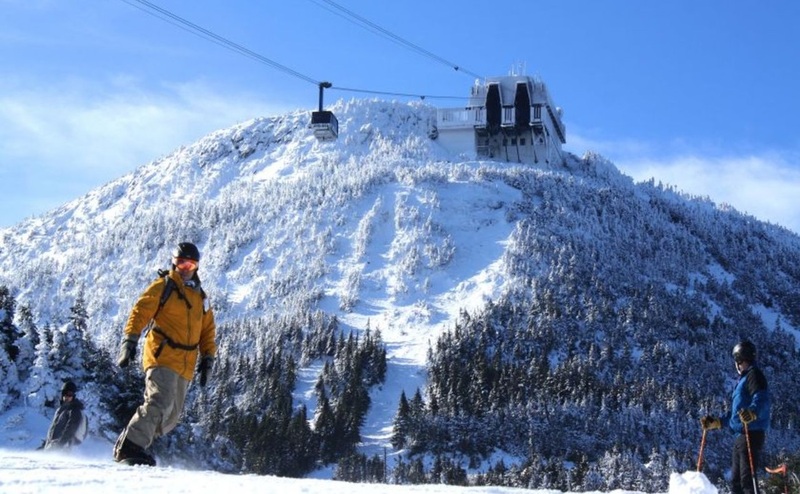 Our peak season trip is to Jay Peak, Vermont. We leave Friday afternoon, ski Saturday and Sunday, and return Sunday night. This is a trip for anyone on a budget or anyone looking for steep glades, face chutes off a Tram, or some of the most advanced runs on the East Coast. Jay Peak will have the most snow coverage of any of our trips aka what northern Vermonters call the "Jay Cloud" and is our second cheapest trip this year. Package includes transportation, slopeside lodging, lift tickets, and tips. It has the most snow in eastern North America and a liberal in-bounds policy. There are 78 trails, slopes, and glades with nooks and crannies that really set Jay Peak apart. In Addition, the mountain has 2 peaks, 50+ miles of skiable terrain, over 385+ acres, base elevation of 1815 ft, vertical 2,153 ft. Difficulty break down of trails 20% novice, 40% immediate, 40% advanced. Two years ago we went as a club and Jay Peak was 99% open, with 14 inches of new snow. This mountain definitely gives you a taste of out West with a Tram, steep runs, as well as a Face Chute. Link to Jay Peak's trail map.